This series is automatic adjustable gas/LPG/CNG/LNG burnerr, Manufacturer using advanced Italian technology to refine it, all kinds of residue can be internal combustion, enjoying a good reputation by domestic and foreign customers. ●Large ratio of 1:10 , start smoothly, high precision temperature control. ●When the power constant flame shape can be adjusted , solved the problem of non-removable-zone, achieved the best match with various drying cylinders. 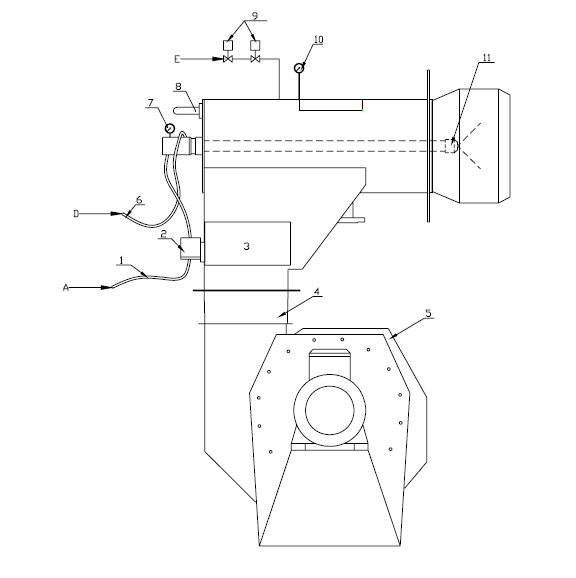 ●For a variety of fuels (such as all kinds of oil, gas, oil and gas multi-use) which adopts low pressure oil supply, air (steam) atomization , oil gun adopts advanced Y-shaped design principles, so atomizing media consumption is small. ●Separate structure, light weight, to avoid combustion resonance stress damage, changeable installation, easy maintenance, durable. ●Strong anti-resistance capability and negative, suitable for a variety of complex conditions and situations, and the use of working conditions is low. ●No need silencer, noise below environmental standards, In safety, energy conservation and environmental protection etc aspects, meet stringent European standards. Intelligent PLC control, Mechanical ratio adjustment control, various control modes, intelligent control contained frequency control so reduces electric consumption. 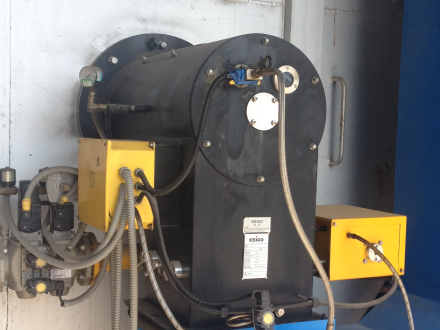 ●Oil burner adopts internal recycle supply oil and quantitative secondary heating system, saving primary heating fuel consumption. 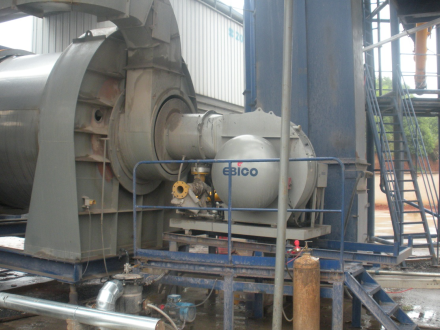 ●Gas burner adopts gas ring design, to meet low NOx emission standards. 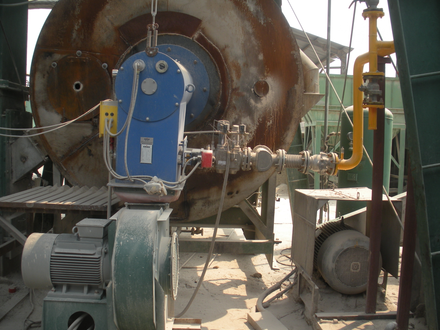 ●The burner can recycle hot air below 250°, according to different air temperature, energy savings 3-9.5%. 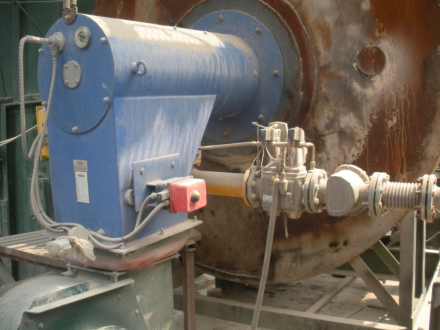 ●This series burner suit for 500-7500 model asphalt plant. Available fuel: gas, light oil, mixed oil, heavy/ residual oil, oil/gas dual fuel.